A few years later, Simon moonlighted as a songplugger for publisher E.B. Marks, working in some of the tunes he’d been writing on the side as he pitched songs from the Marks catalog to A&R reps at the labels. While Simon claims that he failed to get even one Marks tune covered, he fared better with his own material. 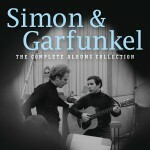 After a live audition, Simon & Garfunkel scored a record deal, courtesy of Columbia Records staff producer Tom Wilson, a jazz specialist (Miles Davis). 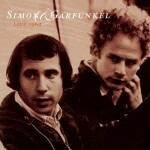 Wilson heard something in Simon’s overtly poetic songs and Garfunkel’s keening tenor. As it turned out, Wilson was right – but acclaim was still a year, and an album, away. 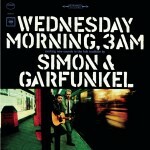 As much as anything, S&G’s 1964 debut album,”Wednesday Morning, 3 A.M.” stands as a distillation of the musical path Paul and Artie had traveled, along with so many of their generation: it’s an unselfconscious pastiche of Everlys-schooled vocal/rhythmic interaction, folk-pop staples, esoterica, English lit-inspired metaphors, and poetic imagery, underlaid with a budding social consciousness. 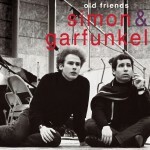 While S&G’s selection and treatment of the outside material was largely unremarkable, the five original tunes made it clear that the two youngsters shared an undeniable gift. 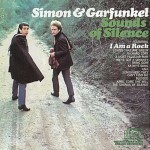 Particularly striking was “The Sound of Silence” which, even in its spare acoustic form, came across with the force of a revelation. Interestingly, Simon had begun writing the soon-to-be generational anthem in November 1963, the month President Kennedy was assassinated. 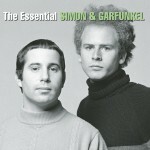 The resonance of S&G’s music found a new context with the landmark 1967 film The Graduate, which acknowledged Hollywood’s embrace of youthful alienation and desire as serious subject matter, using the duo’s songs, rather than a standard film score, to drive the narrative and enrich the atmosphere. To say that the soundtrack started a lasting trend would be an understatement. The year and a half between the release of Parsley, Sage, Rosemary and Thyme, and March, 1968, when Bookends saw the light of day, had seen the Beatles complete their transformation from pop stars to prophets with Sgt. Pepper’s Lonely Hearts Club Band, while, on the West Coast, the Summer of Love and the Monterey Pop Festival (which Simon, Garfunkel, John & Michelle Phillips and Lou Adler had helped put together, and at which S&G performed) signaled an opening up of young society to new sounds and the altered state of consciousness that many then believed was the prerequisite for experiencing them. 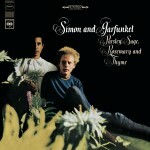 Inevitably, the duo was seduced by this dramatic profusion of aural and thematic possibilities, but, rather than jumping on the acid-rock bandwagon, as so many of their contemporaries were doing, Simon & Garfunkel used the colors of the newly expanded musical palate as carefully as they’d used their voices and acoustic guitar – to serve the sense and spirit of their songs. And what songs they were, dense with meaning and implication. 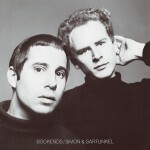 The most literary of albums, the aptly titled Bookends was the musical equivalent of a book containing a novella – in the form of a conceptual song cycle – and a series of interrelated short stories, among them, The Graduate’s linchpin song, “Mrs. Robinson,” as well as “A Hazy Shade of Winter,” “Fakin’ It,” the Orwellian “At the Zoo,” and the wistful “Punky’s Dilemma,” a reflection on the lost innocence of our childhoods. Overtly ambitious, the record functioned as a meditation on the passage of life and the psychological impact of life’s irreversible, ever-accumulating losses. The song cycle described the life and death of the American Dream, the romantic notion we’d grown up embracing, expressed most poignantly in the vivid narrative “America,” a rueful anthem of hope and hopelessness. But S&G didn’t stop there, expanding the scope to the universal – the relentless march toward old age and death. The elegiac “Old Friends” was underpinned by a lovely string and horn arrangement that threatened to erupt into cacophony, a la the Beatles’ “A Day in the Life,” before the storm passed and the focus shifted back to the image of two old men sitting on a park bench, “silently sharing the same fear.” The song flowed seamlessly into the “Bookends Theme,” which Simon brought to a close with the suggestion, “Preserve your memories; they’re all that’s left you.” More than three decades later, the songs of Bookends seem even more unsettling than they did at the time…but how could it be otherwise, when we’re more than three decades closer to the park bench, the half-empty bed, and the other autumnal truths they so eloquently expressed? The prevailing vibe at the tail end of the Sixties was anything but peaceful or loving – not with the unending carnage of Vietnam, its terrors amplified by the Russian roulette of the draft lottery. Not with the Manson family metastasizing hippie idealism into unimaginable brutality. Not with the reflexive violence of Altamont, which would combine with the breakup of the Beatles to jeopardize that last vestige of Sixties idealism, the notion of music as a sacred sanctuary, as the once-harmonious pop universe exploded into disparate factions, never to reconcile. 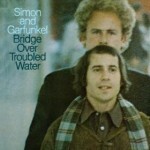 Less than a month into 1970, America got its song for the asking – from a hearteningly familiar source – with the release of the immediately and perennially adored Bridge Over Troubled Water. 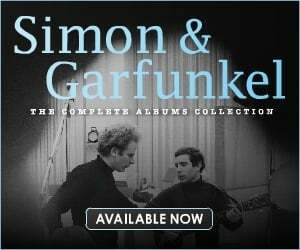 The title track, which S&G had tantalizingly debuted on their network TV special in November of ’69, offered that much needed message of hope with eloquent simplicity and grace. 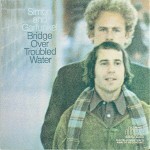 Opening the album, “Bridge Over Troubled Water” gradually ascended from whispery intimacy to breathtaking grandeur on the wings of Garfunkel’s greatest vocal. That brilliant example of slow-build aural architecture was but one of the record’s myriad pleasures, not the least of which was the epic survivor’s narrative, “The Boxer,” a top 10 hit in 1969 and another of Simon’s most memorable songs. 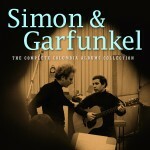 While several songs, most notably “Cecilia,” had nothing more pressing on their minds than getting to the hook, their old-school exuberance conspired to restore our faded memories of a long-ago moment when anything seemed possible – just what the doctor ordered for a generation whose golden dream had withered into its worst nightmare. 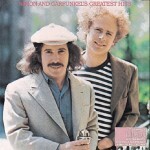 Ironically, during the making of this landmark work, which was universally embraced as a covenant of renewal, the team of Paul Simon and Art Garfunkel was itself in the process of coming apart. Their diverging ambitions certainly had something to do with it. But more crucially, as with the Beatles before them, what for so many years had been a natural and unforced shared experience for the principals had become a strained, self-conscious one. 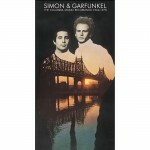 Like the decade that had borne them into prominence, Simon & Garfunkel had run out of time. To Artie and Paul, those years they spent together, and the music they made together, are now merely an early chapter in their continuing personal sagas, with their attendant triumphs and disappointments. For those of us who lived through those times, though, hearing their songs never fails to bring back certain moments in our own lives – and with startling vividness. They moved on, and so did the rest of us. 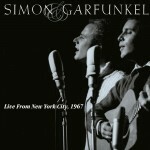 But, much as we’ve pulled out those worn records and relived the transformative memories they contain from time to time, Simon and Garfunkel have hooked up on occasion during the years since their breakup, performing multiple nights together at Madison Square Garden, as well as playing the legendary 1981 show documented on the album Concert in Central Park. 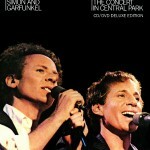 That prospect is reason to rejoice for several generations of music lovers.